Have to Say About Our Classes! Mr.Been is an awesome instructor. I appreciate his style of teaching. If I could give more stars, I would. 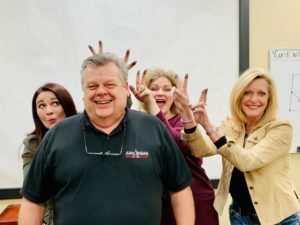 I highly recommend Arkansas Real Estate School! Kudos to the first voice you hear and the first face you see, Barbara!! Thank you for an awesome experience! My husband and I (Laboya and Keisha Walker) attended this school and learned a lot. Every time we stumble on a problem, my husband always refers back to what Danny Bean taught us! 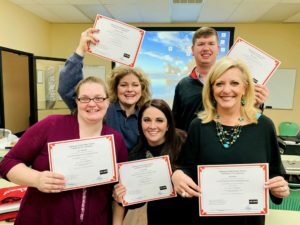 Great job Arkansas Real Estate School, INC.! Excellent location, class environment, facilities, qualified instructor, presentation tools, and instruction! Always learn subject matter as well as important and timely real estate matters for Arkansas as well as national trends. I just wanted to take a minute to say Thank You for the education you have given me over the last 2 weeks. When i decided to come to RE school i was stepping out and far away from my comfort zone. The dedication and passion that you showed to our class has done nothing but make me want to be just as good as of RE agent as I am a soldier. I also appreciate the time you took out of your lunch today to sit and talk with me. I hope that after i pass my exam in the coming weeks that i can have an opportunity to work with you and the DANALI family but at the least i know that i always have someone to come to seek sound advice from. - Your passion and dedication made me want to be as good a RE agent as I am a soldier. Great information and enjoyable speaker! Definitely will be back for next CEUs!! - Definitely will be back for next CEUs!! Your class has me all fired up & I want to move on it right away! Thanks, not only for your knowledge & training, but for your ability to make each student feel as if they have their own personal real estate tutor! 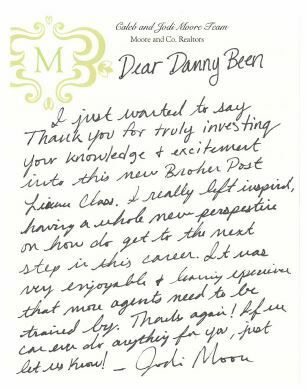 Not only will I be back to other classes in the future but I will refer other agents to you as well. - Your class has me all fired up! Hi Danny. Just wanted to tell you, I thought the class was great. Very laid back, and enjoyable, but engaging also! If you ever need anything in the Texarkana area here is my contact info. - The class was great! Very laid back, enjoyable and engaging! Great school! Enjoyed every minute of class. Danny is very knowledgeable and kept it interesting. - Great school! Enjoyed every minute of it! 1. We need all the technology training that we can get in today’s environment. 2. Danny Been would not be affiliated with this program if it were not done well. Anyone needing CE Hours should attend this training and even if you don’t need the hours you should seriously consider the training. Knowledge is power – so you can’t ever know too much about the technology we have to assist us. - Danny Been would not be affiliated with this program if it were not done well. I took my exams this morning and passed!!! Whew! The general exam seemed so easy & the law- well, I wouldn’t call it “easy” but it wasn’t too hard! I’m just glad I didn’t ruin your pass rate! Thank you again, so much, for the great class. So many of your stories helped illustrate the material & there were a few questions that I knew because they were similar to a story you told in class. The quizzes and practice exams in the back were a huge help, and I felt so comfortable with the question format because of those practice tests! - The quizzes and practice exams were a huge help! Danny Been is a fantastic instructor and real estate professional. He educates by including his own personal life lessons and humor. He finds a way to explain to students through different examples and makes learning easier and enjoyable. He is very personable and knowledgeable about all aspects of real estate. I highly recommend this school to anyone who is interested in learning real estate. Couldn’t ask for a better teacher or environment! - Couldn’t ask for a better teacher or environment! I took the class in February 2017! I enjoyed the class with Danny. He gives real examples that will stick with you when you leave. I didn't take my test until September 2017 and I passed on the first try! Take notes, highlight and most importantly...listen to his stories. I absolutely loved this class, I can't believe it's over☹️.. Danny Been & the staff there are AMAZING!! This is "THE" Real Estate School. If you can stay woke (lol) through Danny's stories I promise they will always stick with you and play a major role when studying. I passed my test yesterday. Thanks Danny! - I passed my test! Thank you so much for sharing your knowledge with me. I’ve been in real estate for many years and appreciate learning new information. So many times, classes are a waste of my time. Not so for your class. It will be my pleasure to recommend your classes and your school to all my colleagues. I ran into one of the agents in my office as I was pulling into my driveway…well, I didn’t actually run into him. He was pulling into his drive at the same time. I didn’t waste any time sharing ideas with him I learned over the past two days. I also wanted to thank you for opening your offices to me while I’m in the Little Rock area. My Mom’s sister lives in Sheridan so I am in the area frequently. Again, thank you for a great experience! - Thank you for opening your offices to me while I'm in the Little Rock area. - If you're thinking about becoming a realtor I believe you should enroll here. Danny makes the classes funny & informative with lots of real life examples! I always walk away with something that I can start using in my real estate business! - I always walk away with something that I can start using in my real estate business! I just wanted to drop you a line and say thank you for your instruction and the time and detail you put into your manual. - Thank you for the time and detail you put into your manual. Danny teaches a great class and would recommend to anyone who is going to get in to Real Estate to enroll in Arkansas Real Estate School.. I took my class about four months before I took my test. I had a family member to take care of before I could take my test. I studied all of the practice test and was very nervous about taking it. It had been over 30 years since I had a career change and taking any kind of test. As I was taking the test I knew I was doing fine and passed it the first time. Thanks Danny for helping me making a great move into Real Estate. I cannot say enough nice things about ARES pre-licensing class. Danny and the ladies truly strive to make the school as accommodating as possible and share their knowledge. They prepared me for the test and made it an enjoyable experience doing so. I passed the exam! I have never been as nervous as I was about real estate classes and especially the exam. At least that’s over – now to find some properties to list! Thanks so much for everything – be sure to tell Mary that I appreciate her help, too. - I passed the exam! I can not brag enough on Danny Been! I just finished the three weekend, 60hr Pre-License Course this past Sunday, and it was amazing! 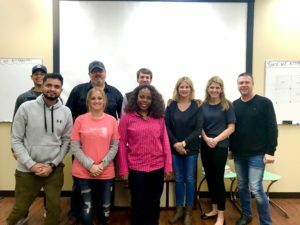 Not to mention, we had the best class to ever go through � Danny not only taught through detailed materials, but real-life situations that brought our understanding full circle. I highly recommend to anyone searching for Pre, Post, and CE courses! Thank you, Danny! Just wanted to say thank you for 60 hours of great instruction. The pre-license class was much more than I thought it would be. Having spent many years teaching, I have a heightened appreciation for someone that can take a 10 hour day and fill it with valuable information mixed with experiences that make a very long day enjoyable. If I pass this test, it will be because of your teaching style. I look forward to passing the test and then taking your post license class. You can be sure that Arkansas Real Estate School will be my first choice in continuing education. - Because of your teaching style, I look forward to passing the test! Danny, Carolyn & Barbara make this an awesome fun learning environment. It's completely painless and very informative. I recommend them highly. Fantastic classroom environment and Danny is one of the best teachers I've ever had. He tells stories frequently so that you can visualize and make a mental picture of the different subjects you are learning, and the study notebook is golden. His classes are also less costly than the other real estate schools, even though his provides way more value I'm sure. It's a no brainer! Choose this school and you will pass with zero regrets! Halsey W.
- This is a no brainer! - I felt so comfortable because of those practice tests! You did a great job!! Well thought out and organized, and best of all it was in basic English that us non-geeks can understand. Kudos to you. - Well thought out and organized! Thanks for the excellent class today. I appreciated your facilitating the “tech” stuff in an extremely simple way. It is the best continuing ed class I have ever taken and after as many years as I have been in real estate that’s saying something…Blessings in your new endeavor. We will miss you at AMSA. - I appreciate your facilitating the "tech" stuff in an extremely simple way.